This is a table of the individual and team winners of the annual Oxford vs Cambridge Varsity orienteering match. 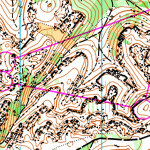 The earlier races are compiled from the VM archive page on the CUOC website. See also OUOC‘s website. This table originally appeared here in early 2003. It is regularly updated to include results from subsequent years. 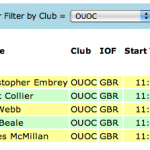 Updated 2005-03-22 with the results from 2005: Clean sweep for Oxford, with Ed Catmur & Cerys Manning as the winners. The event was near Stockholm, Sweden. Updated 2006-03-16 with the results from 2006: Cambridge win back the team trophies and the Men’s Individual (Alan Elder) while Helen Gardner retains the Men’s Women’s Individual for Oxford. Comment #3: ‘…Helen Gardner from Oxford retains the Men’s Individual’. I’m sure she’ll be flattered by that! Oops. Fixed. Can’t believe that mistake has been there for a year!